To the eye : A beautiful deep and intense colour, with dense and generous hues and hints of purple and garnet.On the nose : Great aromatic intensity, combining depth and freshness. A sophisticated bouquet dominated by fruit and spice, alternating between notes of fresh fruit, liquorice, fresh spices and praline, with a finish of toasted bread.On the palate : After a direct, fresh and unctuous attack, the silky tannins start to come through. A velvety sensation on the palate, an elegance that is full, well-rounded and dynamic. A cuvée with great complexity, but without excessive width. A tasty finish, with great length. 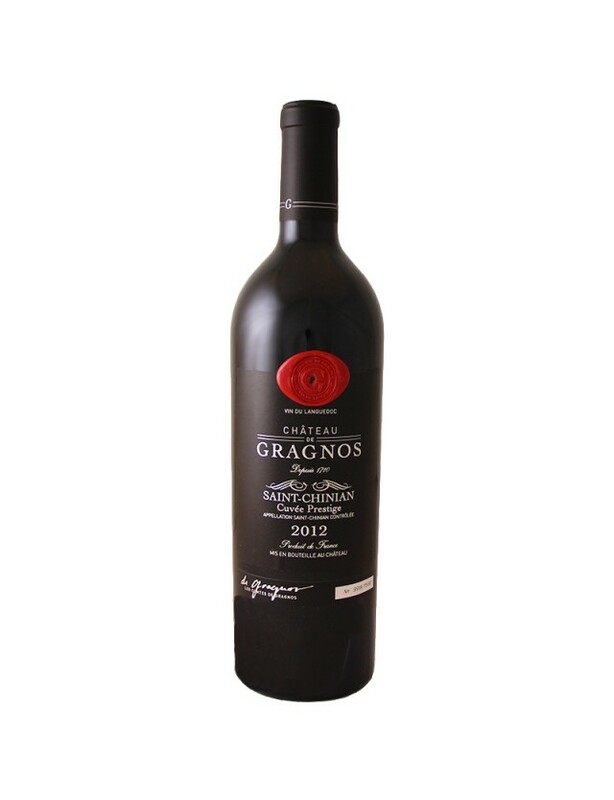 On the whole, a rare cuvée combining harmony, subtlety and fullness.Food & winepairings : To be enjoyed over a meal, the Cuvée Prestige du Château de Gragnos pairs perfectly with traditionally prepared red meats (stew, hot pot,&) or contemporary meat dishes (minced beef, grilled meats). Also beautifully complements hard cheeses (Beaufort, Comté).